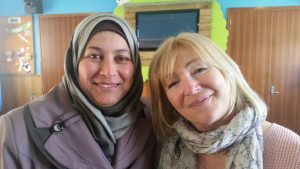 A group of women from Syria and Iraq reached out to manaaki their Kiwi women friends and to share personal stories of challenge, determination and positive change. 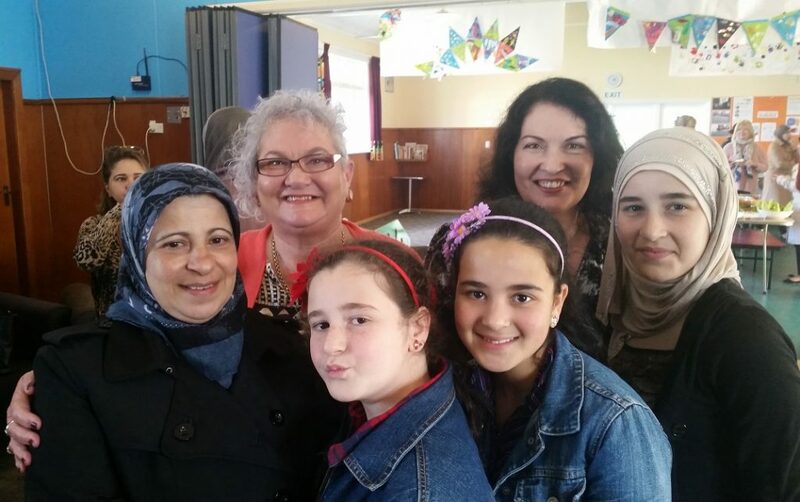 They invited a group of women and children who had befriended and supported them, to join them for ‘A Taste of the Middle East’, a lunchtime event at Hutt Valley’s Knox Church in October. The guests came from all kinds of cultural backgrounds – Māori, Samoan, English, Iranian, Malaysian and Pākehā. The Syrian and Iraqi women sang, performed a traditional dance and provided their guests with sumptuous middle eastern kai. 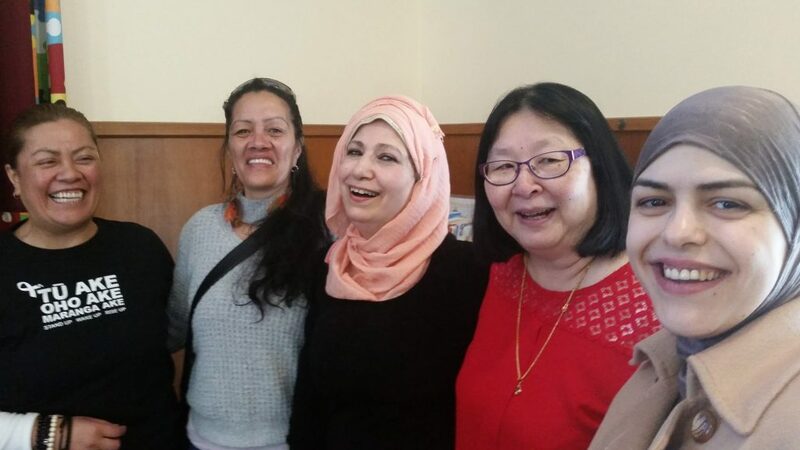 Those with confidence in their spoken English stood to talk about what they’d achieved in recent months thanks to people like their guests and with the support of organisations like Upper Hutt Multicultural Council. E Tū Whānau supports the Upper Hutt Multicultural Council to run courses on resettlement and employment. They also talked about their journey, what they’d learnt and ways they’d had grown since they and their families had arrived in New Zealand as either refugees or migrants. Mona Yahy, who came to NZ as a Syrian refugee, is mother to three children, one of whom is deaf. Mona spoke eloquently of her experience. Importantly, the women organised the event themselves. Some of the women came from families where women were not expected to engage with the outside world in any kind of project management so they grasped this opportunity with both hands and provided their guests with a wonderful experience. Hutt Valley community worker, Maureen Fox co-facilitates the Multicultural Council’s ‘Pathway to Employment’ courses. Maureen is Samoan and her husband is Ngāti Porou. Her family emigrated here in the 1950s and, like this current group of new New Zealanders, they had to grapple with a new language and a new culture. “There were challenges but my mother had an English friend who helped her understand what was going on and that’s the role we can play with our friends here today,” said Maureen. She accepted her invitation to the event because she wanted to meet women from other cultures and, learn more about their lives. She also wants them to have closer links with tangata whenua. Monique spoke of her respect for the resilience and determination shown by the women hosting the lunch, many of whom had come from war zones. Those sentiments were echoed by other guests who were themselves migrants. Women like Oham Saaed, an Iraqi who migrated here with her husband and two children 23 years ago, Catherine Heaps from England and E Tu Whānau kaimahi, Pohswan Narayan who is Malaysian. Pohswan says she’s amazed by the progress the group has made in recent months.